He's written comics for Mass Effect, Iron Man, The Simpsons, and Indiana Jones. Production notes on all his works can be found at his fiction site. He is also a comics industry historian, specializing in studying comic-book circulation as presented John Jackson Miller has spent a lifetime immersed in the worlds of fantasy and science fiction. He's known for his Star Wars work, including Star Wars: Knight Errant, his national bestselling novel from Del Rey; Star Wars: Lost Tribe of the Sith, his e-book series with more than a million downloads; and his long-running Knights of the Old Republic comics series. His Overdraft: The Orion Offensive Kindle serial will be collected in July 2013, and his Star Wars: Kenobi hardcover releases in August. The second season of Star Trek: Discovery goes live on Thursday, Jan. 19, featuring the return of U.S.S. 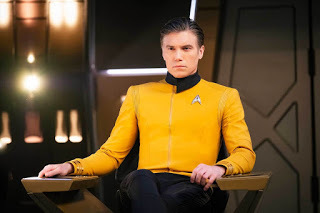 Enterprise under Christopher Pike — and the story of where they were all during the first season is about to be told, too. 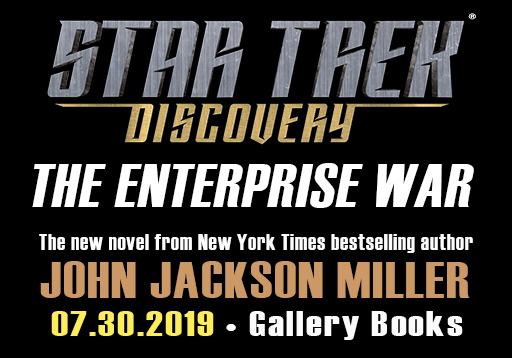 I know because I'm telling it— in Star Trek: Discovery - The Enterprise War, my new novel releasing on July 30 from Gallery Books! John Jackson Miller made a comment on I return to Tatooine in October in FROM A CERTAIN POINT OF VIEW -- and to Star Wars Celebration next week!
" Ursula wrote: "I can't wait! Loved A New Dawn." John Jackson Miller made a comment on Red alert! STAR TREK: PREY trilogy due out from JJM in fall 2016!
" Thanks very much, Troy! " John Jackson Miller made a comment on Red Alert! Star Trek: The Next Generation - Takedown is now on sale!
" This was something we considered on the only other "Dark Times" era project (besides KENOBI) that I worked on -- the out-of-print "Sword of the Empire This was something we considered on the only other "Dark Times" era project (besides KENOBI) that I worked on -- the out-of-print "Sword of the Empire" module for the role-playing game (details here -- http://www.farawaypress.com/games/swr...). The Inquisitors and their role in detecting Force users was described there. In the game module (which doesn't necessarily remain valid in terms of what it says about their capabilities) the inquisitors in our story were able to sense Force users on the same planet, as Vader did on the Death Star, but not across millions of light years. And by not calling upon the Force, former Jedi in that game were able to hide their presence somewhat. ...more "
" The names came from the TV show folks. I didn't know their preferred pronunciation of the Kanan name until I actually talked to them! " For members of the Star Wars Bookworms podcast community to read and discuss Star Wars books together.